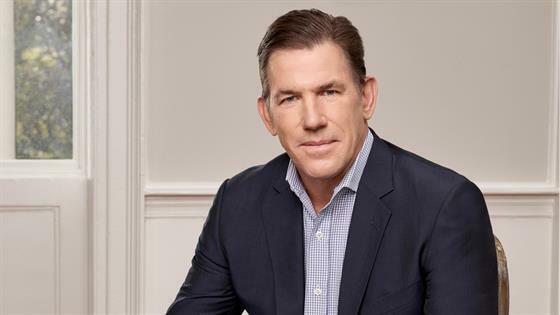 Thomas Ravenel has responded to Kathryn Dennis' custody filing. In late October, the Southern Charm star, 27, filed a motion seeking primary custody of the two kids she has with Ravenel, daughter Kensington Calhoun Ravenel, 4, and son Saint Julien Rembert Ravenel, 2. Dennis' filing followed a month after Ravenel was arrested on charges of alleged assault and battery second degree. According to Dennis' filing, obtained by People, she accused Ravenel, 56, of displaying "periods of impulsive and uncontrollable bouts of anger" as well as "extreme narcissism and anger management problems." The outlet also reports that Dennis accused Ravenel of relying "upon the use of full-time nannies" and claimed that he "has drunk alcohol to excess, mixed with prescription drugs, that has caused him to be impaired during periods of time in which he had custody of the children." In his counterclaim, filed Nov. 6 and obtained by People, Ravenel denies Dennis' claims, while also accusing her of filing the motion "in bad faith, for the purpose of garnering media attention, creating material for her storyline on Southern Charm and ensuring her marketability as a 'reality TV star.'" While Dennis had previously lost custody of her two kids amid a substance abuse struggle, the couple currently shares custody. "Thomas is not necessarily worried about his assault case, but this is stress he doesn't need," a source tells E! News. "He thinks Kathryn is trying to take advantage of his legal issues." "They still communicate regarding the kids – their schedule and things like that," the insider continues. "It's not so contentious that they're not speaking but it could reach that point if things continue like this." E! News has reached out to Dennis and Ravenel's attorneys for comment.